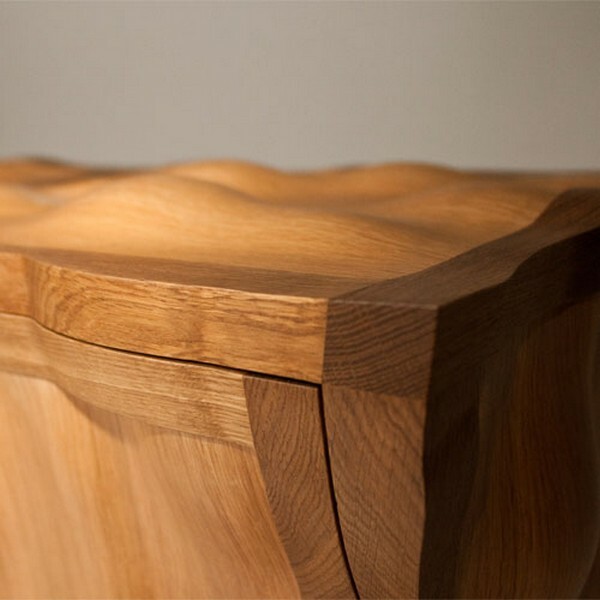 This unique, handmade sideboard by Edward Johnson called the Volumptuous sideboard is made of oak and internally lined with cedar. 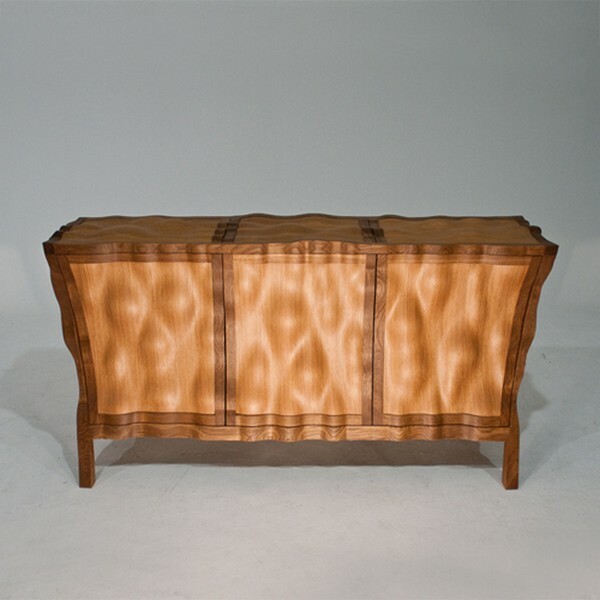 The frame of the piece has been moulded to follow the form of each laminated panel, giving an undulating, almost topographical feel to the piece. The Volumptuous sideboard is about as sensuous as furniture can get: it is visually stimulating and enticingly tactile.